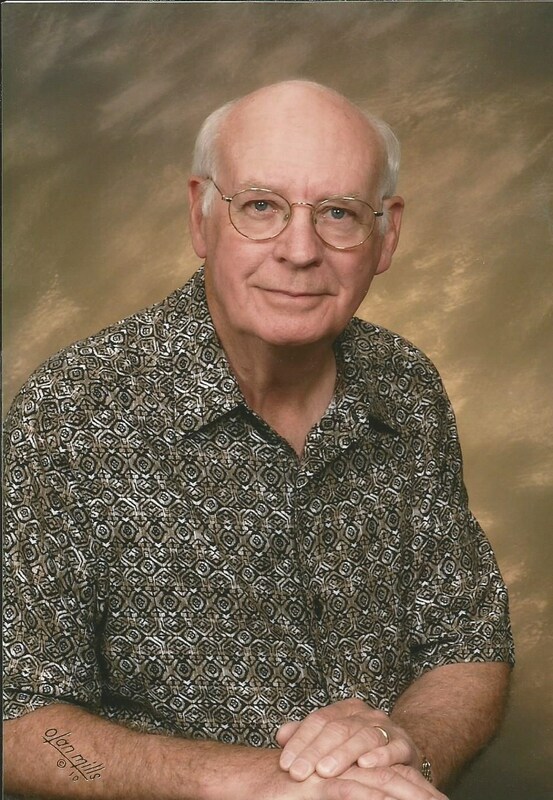 Lloyd Whitley Williams, of Bluff City, entered the heavenly presence of his faithful Lord, following a brief, but difficult, battle with cancer, at his home on Sunday, April 29, 2018, at the age of 81. Through his gifts as an experienced craftsman of wood, an accomplished musician, and a skilled vinedresser, Lloyd tangibly demonstrated his love for others, his love of life, and his love for God. He lived out the Christian Faith that he boldly professed, giving hands and feet to loving the Lord his God with all his heart, soul, and mind, and his neighbor as himself. He was a deeply devoted husband, father, grandfather, and friend. He was a faithful and dedicated member of Bluff City United Methodist Church, where he played bass guitar for his praise band, sang with his choir, and served in other capacities too numerous to list. Following his service in the U.S. Army from 1955 until 1957, he worked until, and even after, his retirement, as a draftsman, production control manager, plant engineer, salesman, and entrepreneur in the stainless steel pipe and fittings, investment castings, and sand castings industries. A native of Russell County, Virginia, he was the son of the late Samuel and Mattie Thomas Williams. In addition to his parents, Lloyd was preceded in death by his first wife, Mary Ethel Williams, in 1985, his second wife, Dolores Williams, only last month, as well as four sisters and six brothers. He is survived by his son, Jonathan Williams and wife, Ruth Williams, of Bristol; daughter, Terry Price Ford and husband, Bobby Ford, of Jefferson City; three grandchildren, Jessa Williams, Jemma Williams, and Thomas Williams; one brother, George Williams, of Radford, Virginia; and many nieces, nephews, and cousins. In lieu of flowers, Lloyd?s request was that donations be made to Bluff City United Methodist Church, 468 Cedar Street, Bluff City, TN 37618. The family of Lloyd Williams will receive friends from 5:00 PM until 7:00 PM Thursday, May 3, 2018 at Morris Baker Funeral Home, Johnson City. The funeral service will follow at 7:00 PM with the Rev. Dan L. Gray, Jr. officiating. Pallbearers will be Randy Williams, Denny Williams, Ronnie Williams, Bert Martin Jr., Mike Miller, Anthony Littleford, Eddie Williams, and Ike Fleenor. Honorary Pallbearers will be Bill Littleford, Randall Shaffer, Dallas Stophel, Jr., Bruce Stewart, Glenn Pickering, and Clarence ?Bubs" Buller. A committal service will be conducted 10:00 am, Friday, May 4, 2018, at the U.S. National Cemetery at Mountain Home. Family and friends are asked to meet at the graveside by 9:50 AM. So very sorry for your loss, love and prayers for you all.